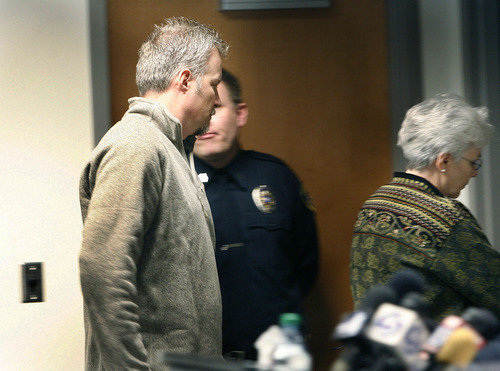 Scott Sommerdorf | The Salt Lake Tribune Utah Jazz owner Greg Miller and his mother, Gail Miller, attend the joint news conference with the Friends of Sherry Black organization to announce the latest developments in the Sherry Black homicide investigation, Monday, March 28, 2011. A $50,000 reward for information leading to the arrest and successful prosecution of the murderer was announced. 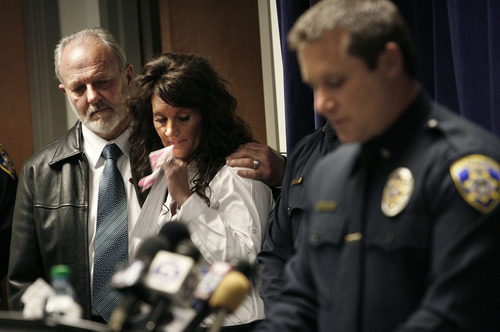 Scott Sommerdorf | The Salt Lake Tribune As South Salt Lake police lead investigator Dwyane Ruth speaks at left, Earl Black, husband of the victim Sherry Black, holds his daughter, Heidi Miller during a joint news conference with the Friends of Sherry Black organization to announce the latest developments in the Sherry Black homicide investigation, Monday, March 28, 2011. A $50,000 reward for information leading to the arrest and successful prosecution of the murderer was announced. South Salt Lake Police Cheif Chris Snyder is at far right. 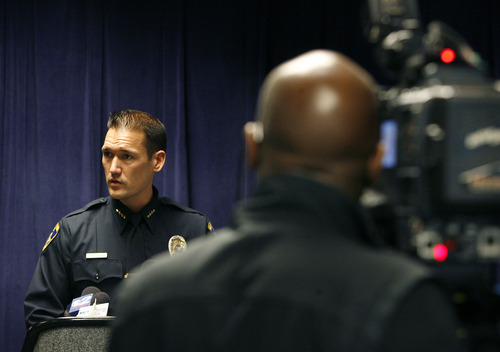 Scott Sommerdorf | The Salt Lake Tribune South Salt Lake police lead investigator Dwyane Ruth speaks at left, during a joint news conference with the Friends of Sherry Black organization to announce the latest developments in the Sherry Black homicide investigation, Monday, March 28, 2011. A $50,000 reward leading to the arrest and successful prosecution of the murderer was announced. South Salt Lake Police Cheif Chris Snyder is at far right. Scott Sommerdorf | The Salt Lake Tribune As South Salt Lake police lead investigator Dwyane Ruth speaks at right, Earl Black, husband of the victim Sherry Black, holds his daughter, Heidi Miller during a joint news conference with the Friends of Sherry Black organization to announce the latest developments in the Sherry Black homicide investigation, Monday, March 28, 2011. A $50,000 reward for information leading to the arrest and successful prosecution of the murderer was announced. 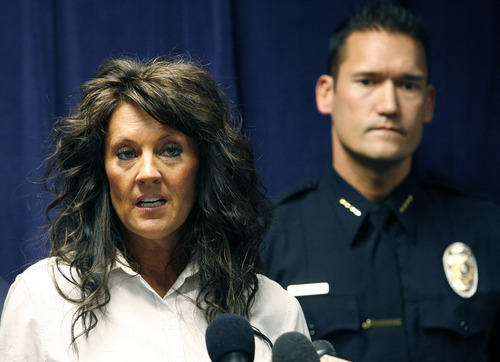 Scott Sommerdorf | The Salt Lake Tribune Heidi Miller speaks about her mother Sherry Black during a joint news conference with South Salt Lake police and the Friends of Sherry Black organization to announce a $50,000 reward leading to the arrest and successful prosecution of the murderer in the Sherry Black homicide investigation, Monday, March 28, 2011. 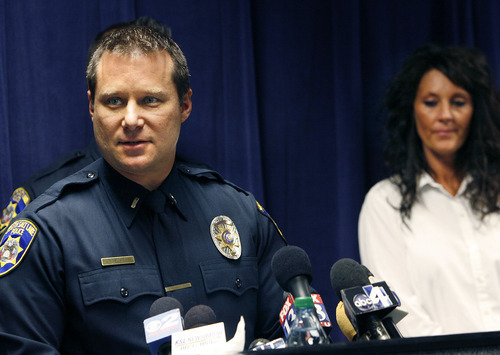 Scott Sommerdorf | The Salt Lake Tribune South Salt Lake police chief Chris Snyder speaks at a joint news conference with the Friends of Sherry Black organization to announce the latest developments in the Sherry Black homicide investigation, Monday, March 28, 2011. 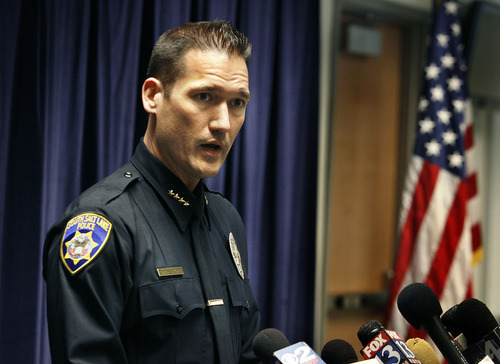 Scott Sommerdorf | The Salt Lake Tribune South Salt Lake police lead investigator Dwayne Ruth speaks at a joint news conference with the Friends of Sherry Black organization to announce announce a $50,000 reward leading to the arrest and successful prosecution of the murderer in the Sherry Black homicide investigation, Monday, March 28, 2011. The victim's daughter, Heidi Miller, is at right. 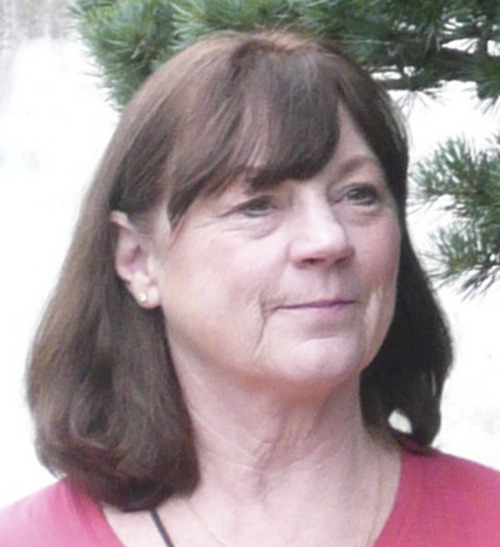 Sherry Black, South Salt Lake homicide victim. Authorities on Monday plan to release new details in the 2010 murder. Courtesy photo. 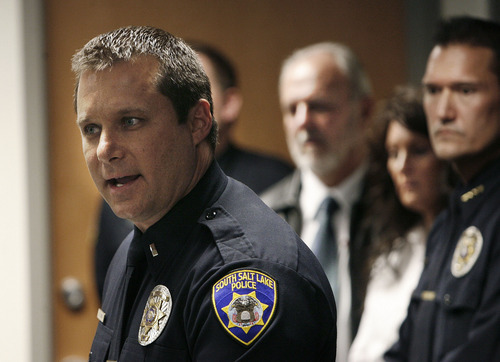 Scott Sommerdorf | The Salt Lake Tribune South Salt Lake police chief Chris Snyder speaks at a joint news conference with the Friends of Sherry Black organization to announce the latest developments in the Sherry Black homicide investigation, Monday, March 28, 2011. South Salt Lake • Whoever killed book seller Sherry Black hurt his hand in the process and left behind a DNA sample, police here said Monday. The sample has been compared to those in law enforcement databases, but no matches have been made. "I want to stress the fact that we have DNA makes it very simple for us to eliminate suspects in this case," said Lt. Dwayne Ruth at a news conference. "So if you have any information or suspect anyone you know may have information, please contact the South Salt Lake Police Department." The department, which still has no suspects and no motive in the killing, also announced the reward for information leading to a conviction has been increased to $50,000. Black was the mother-in-law of Greg Miller, the CEO of the Larry H. Miller Group, which owns the Utah Jazz. Miller and his wife, Heidi Miller, attended Monday's conference. Greg Miller did not speak, but Heidi Miller made a brief statement asking the public's help in finding her mother's killer. Heidi Miller said she misses her mother and the person responsible "needs to be caught." Black, 64, was found beaten and stabbed Nov. 30. Black and her husband, Earl Black, ran B&W Billiards and Books from a building next to their home at 3466 S. 700 East. Her husband found her body when he returned home. The Black and Miller families and police have worked to keep Black's case in the public eye. There have been billboards in Salt Lake County asking for the public's help while South Salt Lake police have taken the unusual step of disclosing some of their evidence in the hopes of generating tips. In December, police disclosed an Armani Exchange belt was found beside Black's body. Photographs supplied by the police department show "AX" on the buckle and the numbers 323 on a sticker on the buckle's back side. Police said the numbers could be from a store or thrift shop. Ruth did not specify how police obtained a DNA sample or know the suspect injured his hand. Utah, like most states, requires anyone convicted of a felony submit a DNA sample. Some juvenile offenders also must submit samples. Know something about the case? I Anyone with tips in the Sherry Black killing can contact Lt. Dwayne Ruth at 801-412-3633 or druth@southsaltlakecity.com. The police department says calls and emails are confidential and tipsters can remain anonymous.